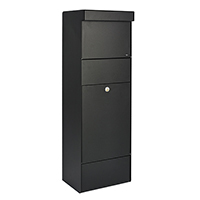 Blog › Parcel Boxes saving money with online shopping. Increasing numbers of people are now shopping online in order to get the best discount on products they require. This journey involves browsing multiple websites for the cheapest offer then juggling delivery charges against the price of convenience. Some next day delivery charges cost can cost £10 or more, this has a negative effect on the margin of discount acquired. Because of the fluctuations in delivery charges many customers will accept standard delivery and attempt to be at home for the estimated arrival date. This can cause people to take days off work / ask family members to stay home and end in disappointment if it does not arrive that day. Parcel Box DeLuxe fixes this problem by utilising a much larger parcel flap measuring at 115mm Height x 300mm Width x 300mm depth. This allows for parcels to be delivered which otherwise would be returned as they would not fit through a conventional post box. Parcel Box DeLuxe also comes equipped with an internal shelf to keep packages secure after being delivered. When the lid is closed the parcel will drop down inside the box into an enclosed container, If you raise the lid again you will notice the parcel is not visible and can't be accessed without the key to the door. The internal shelf in the Parcel box can be removed creating additional space for unusually high volumes of post. Our system holds enough volume for multiple deliveries a day, whereas the majority of similar products will only support one. 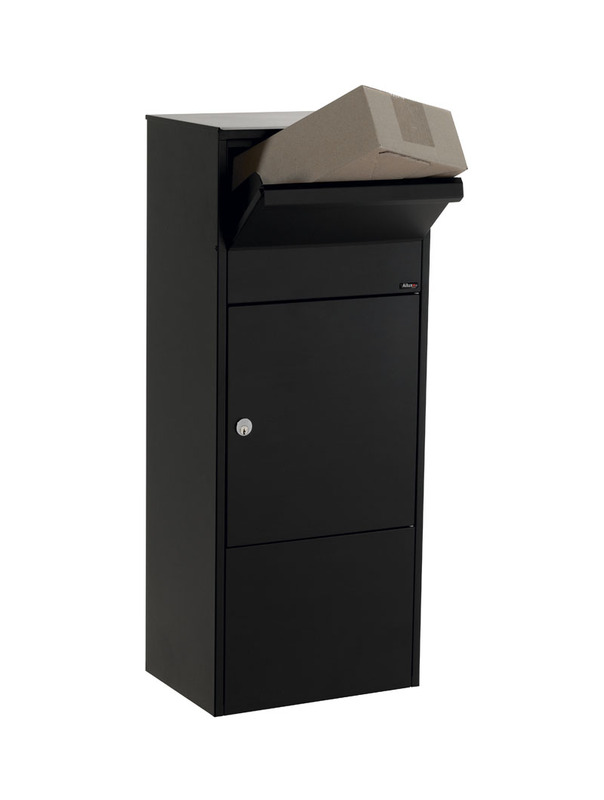 This product can act as a high capacity post box and a parcel box combined, with a unique locking mechanism to lock the box shut to prevent any deliveries if required. The long term benefits of this parcel will save you time and money when ordering products online by giving flexibility back to delivery. This allows our parcel box customers to order items online (depending on size) to be delivered cheaply and without inconvenience.